Poster grunge map of the world. 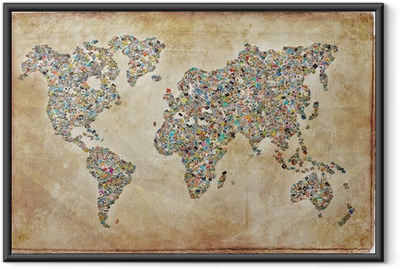 Framed Poster Highly detailed world map with labeling. Grayscale vector illustration.